These are tough conditions and it is nice to hold your nerve in such situations, said Megan Schutt, the Player of the Tournament. England did what they could, but they ran into Meg Lanning in her best form since her comeback to cricket earlier this month. England were swept away by 57 runs in the Twenty20 International triangular series final in Mumbai on Saturday 31 March. After Australia were put in to bat, England were in the game till Lanning and Elyse Villani came together in the eighth over of the innings with the scoreboard reading 66/3. With Lanning in supreme touch and Villani almost as good, the game got away from England pretty quickly and poor efforts on the field did not help their cause. England were led by Danielle Hazell on the day, after Heather Knight, the regular captain, dropped out with a hamstring injury on the morning of the match. Lanning and Villani added 139 runs in 12 overs, scoring at a blistering rate, Villani complementing her captain with a 30-ball 51. “These are good batting conditions and good to put up a partnership with Elyse. Good to bat with her. Very proud of the girls throughout the tour,” said Lanning. 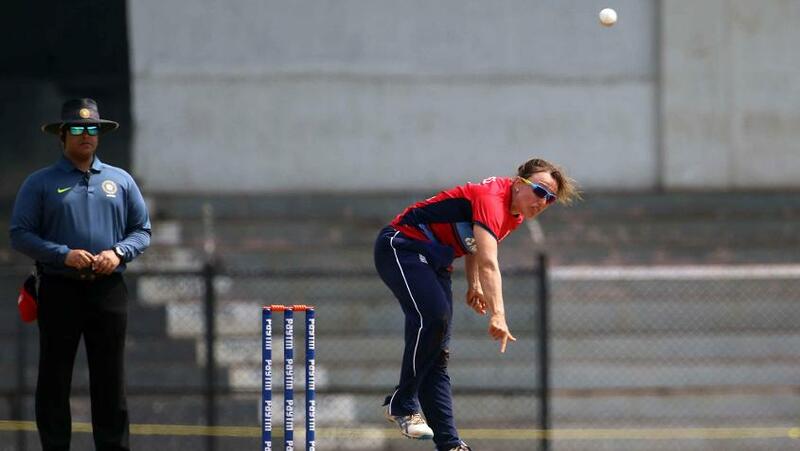 Lanning returned to the game after a seven-month layoff – the first game of the one-day international series against India prior to the T20I tri-series was her first outing since the ICC Women’s World Cup 2017 semi-final loss to India on 20 July. She looked in decent touch in the ODIs, scoring 33, 24 and 18, and got runs in the T20Is as well, but wasn’t anywhere near the kind of world-beating form people are used to. Until the final. “I have enjoyed this series after coming back,” she said. “Just getting back into it in the one-dayers; the T20s just suited me, I guess, just come out and play pretty freely and I think that allowed me to spend a little more time in the middle. “Once I got going, I was able to keep attacking and playing my strokes. The key is to be aware what your strength areas are and where you’re hitting the ball. With four fielders out, you don’t really need to hit the ball hard all the time. It’s about placement. For me, that’s what it’s about as opposed to trying to hit sixes all the time. 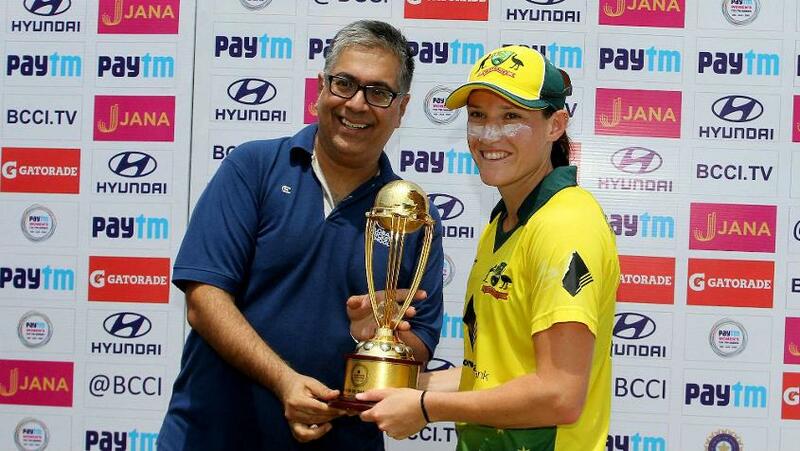 Megan Schutt, the Australia pacer, was named the Player of the Tournament for a succession of good performances – not always picking up a pile of wickets but always keeping things tight. “We got some big runs and it was nice to defend them. These are tough conditions and it is nice to hold your nerve in such situations. I think I rode my luck this tour,” she said modestly.